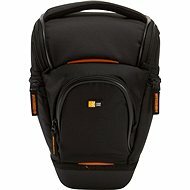 The Case Logic CL-DCB306K is for SLR cameras with lens attached. 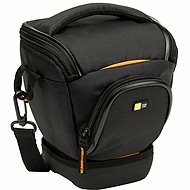 This bag has strong padding and a nylon lining that ensures maximum security for your precious camera. 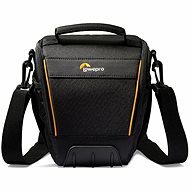 The extended zipper allows quick and easy access to the camera. Two side pockets offer plenty of space for accessories such as batteries, chargers, cables, and lens caps. 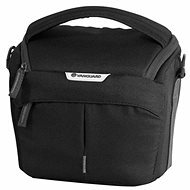 The zipped lid pocket is designed specifically for a set of essential accessories - namely for memory cards. Using a practical loop, the bag can be attached to the belt. Another alternative for carrying the bag is the removable shoulder strap and padded handle. 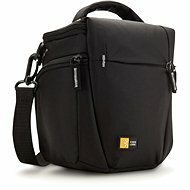 Small battery pockets, memory cards, etc. Done! For shipping to other EU countries visit this page Case Logic DCB306K. Für Versand nach Deutschland, besuchen Sie bitte Case Logic DCB306K. Chcete doručit zboží do Česka? Prohlédněte si Case Logic DCB306K. Chcete doručiť tovar na Slovensko? 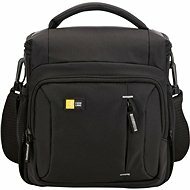 Prezrite si Case Logic DCB306K. Für Versand nach Österreich, besuchen Sie bitte Case Logic DCB306K. Magyarországra történő kiszállításért tekintse meg ezt a termékoldalt: Case Logic DCB306K.